William Cornelius - Mediator based in Tyler, Texas. Wilson, Robertson & Cornelius, P.C. Please click your preferred available date to submit a request. Your Appointment Form will be sent to William's assistant, Ann Kuhn. More than 40 years of civil trial experience in East Texas and a hard earned reputation for fairness and integrity give Bill the credibility needed to effectively mediate your case. Bill began his practice in Galveston, Texas, with the firm of McLeod, Alexander, Powel & Apffel, where he did insurance defense work until 1979. He then returned to his native East Texas to become an Assistant U.S. Attorney in Tyler, where, for six years, he defended Federal Tort Claims Act cases against the Government. During his tenure there, he was named Chief of the Civil Division, and later, Senior Litigation Counsel. His honors there included receiving the Certificate of Merit from the Attorney General. In 1985, Bill joined the Wilson Firm (now Wilson, Robertson & Cornelius) in Tyler as a partner; and now conducts his full time mediation practice there. His previous trial practice included the handling of commercial, tort and intellectual property cases, in state and federal courts. He has twelve years’ experience mediating all kinds of civil disputes, including patent infringement and other intellectual property cases. Bill was admitted to the bar in Texas in 1975; and is admitted to practice in the U.S. District Courts for the Eastern, Southern and Northern Districts of Texas; and the U.S. Court of Appeals, Fifth Circuit. 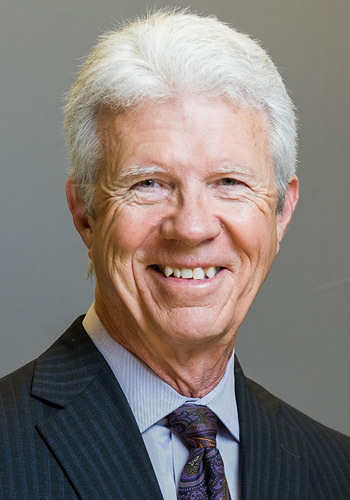 Bill is a member of the American Board of Trial Advocates, The T. John Ward American Inn of Court, and is a Life Fellow of the Texas Bar Foundation. He has the Martindale Hubbell AV rating; and in 2008 and 2018, was named a “super lawyer” by Texas Monthly magazine. He is also a member of the Association of Attorney Mediators.